Going to rehab is about much more than just stopping drinking – the real goal of this type of programme is to help you develop a manner of living in which you no longer feel the need to get drunk to escape your problems. A quality rehab will provide everything you need to build a better life, but it will be up to you to make use of the available resources. People have been benefiting from rehabs for a long time, meaning there has been time to learn about what makes individuals successful. Why is it that some individuals achieve long-term sobriety while others relapse almost as soon as they return home? The answers to this question have made it possible to create a list of dos and don’ts for anyone hoping to get the most out of this type of experience. One of the things you need to be able to do when you enter a rehab programme is be honest with your therapist and, most importantly, be honest with yourself. Addiction involves a lot of denial so, in order to escape this suffering, you would need to be willing to see things exactly as they are. If you feel unable to be honest, it just might not be possible to get the most out of this type of programme. In the 12-step groups, it is said that you are as ‘sick as your secrets’ and that the one thing you are not willing to talk about can be the thing that is holding you back the most. It is vital that you take action while staying at an addiction treatment centre. You cannot absorb the information you need by osmosis, so just being in this environment might not be enough to ensure you achieve a lasting sobriety. You are responsible for your recovery, so you have to be prepared to take charge and make use of the resources available to you. Do not look at the therapist and other rehab professionals as being there to fix you – instead see them as being on your team with you as the team leader. Having fun in rehab can be as important as any other part of the treatment. This does not mean that you should spend all your time joking around, but you do need to make time for some light-heartedness. It is common for this type of facility to offer some fun activities, so it is recommended that you take advantage of these. You will also benefit from making time to socialise with the other clients. There is lots of serious work to be done during your stay in rehab, but you do not have to be serious all the time; and you definitely do not want to be taking yourself too seriously. The other thing you definitely want to be doing during your time in rehab is prepare for the transition back home. You are not going to be staying in this type of protected environment forever, so you need to make sure you are ready when the time to leave comes. A quality rehab will make sure you have some type of aftercare programme, but it is up to you to make sure that this will be enough. Ideally, you should be preparing for the transition back home from day one. The one thing you do not want to take with you into rehab is a closed-mind. If you think you have all the answers already, it will be very hard for you to pick up the information you need to build a better life. This does not mean that you have to just do what you are told, but you do not want to be rejecting suggestions without first giving them a fair hearing. The only real way to know if something is not going to work for you is to give it a try. The reality is that the process of addiction leads to all types of distorted thinking, so you need to be prepared to listen to others and let go of any thinking that has been holding you back in life. It is important that you do not allow anger or resentment to derail your progress in recovery. There are many examples of individuals who lost their temper in rehab and the next thing they knew they were in a bar drinking. The problem is that when you are caught up in this type of emotion, it is not really possible to think clearly. It is usual for people in early recovery to have problems managing anger, so most rehabs will provide anger management seminars. If you do find yourself becoming caught up in anger, you need to speak to a therapist and not do anything on impulse. One of the other things you might want to avoid in rehab is preaching to other clients or voicing your cynicism about recovery – both of these are two sides of the same coin. If the programme is beginning to work for you, it is understandable that you want to share your gratitude; however, telling others how they should be doing things is not appropriate. This is why, in group therapy, you are usually encouraged to only use ‘I’ statements – for example, you could talk about how mindfulness has helped you deal with cravings, but you do not want to be going around telling other clients that they need to do the technique. If things are going bad for you in rehab, it is easy to become cynical – if you are feeling this way, you need to talk to a therapist rather than use your cynicism to demotivate others. Do not leave rehab on a whim. There may be times during the process when you feel a bit fed up – this is fairly normal. The worst thing you can do in response to this type of obstacle is decide to leave rehab. If you do this, you risk losing your only chance of a better life without addiction. If you really feel as if you need to leave the facility, it is strongly recommended that you delay taking this step for at least 24 hours. This will give you the time to think about the implications of taking this step, while being able to speak to therapists and other people about your options. Waiting one more day should not be too much of a hardship and at least this way you can say that you did not just leave on a whim. It also means that there will be time to arrange some type of support when you go home in the hope that this might save your sobriety. In most cases, by delaying for 24 hours you will have had time to see things more clearly, so maybe you will decide to stay. 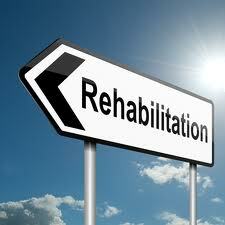 Do not expect there to be a graduation day in rehab. When you finish this programme, you will be better able to handle life in sobriety, but it does not mean that you will be cured. You need to understand that recovery is a process that will continue for as long as you remain sober. This is actually a very good thing because it means your life can keep on improving. It is better to think of your last day in rehab as the beginning of something rather than the end of something.